Hello again and I hope you had a good start to the year. A reminder about our ‘Meet and Greet’. Every month on the second Thursday of the month, we congregate at the Caledonian Hotel in North Adelaide. The council has its meeting at 5pm prior to the official meet and greet which commences at 6pm. If you would like to get in on the happy hour prices for drinks, I suggest coming a little earlier. The association provides some nibbles during the social hour. Dinner is optional and we eat about 7pm. 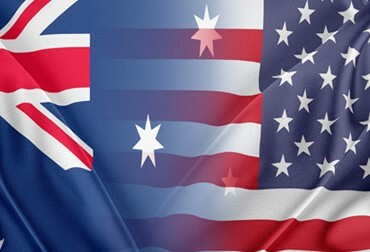 January was completed on Australia Day with the association joining the Multicultural Day Parade in the city. More than 3000 people were involved from those marching to those being a spectator. The event was televised for all who could not join in on the day. Our group consisted of David and DeDe Stoba, Merle Menegay, Victor Squire, Robert Atkinson and Marty Lage. 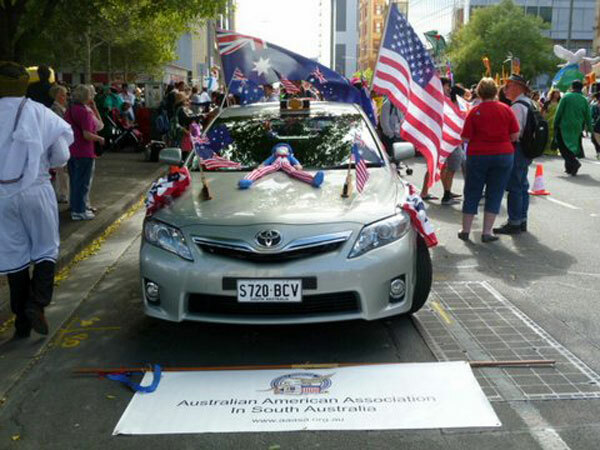 A big thanks goes out to David Stoba for decorating his car with flags of Australia and America as well as decals for the Australian American Association. DeDe drove the car while the rest of us marched in front or behind the car. People along the route were waving to us as we moved along. The day finished with a concert in Elder Park. 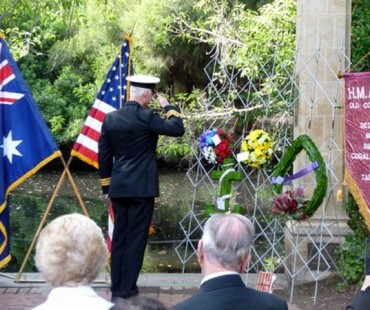 February 19th was The First Bombing of Darwin Commemoration. This was held at the Repatriation General Hospital in Daw Park. 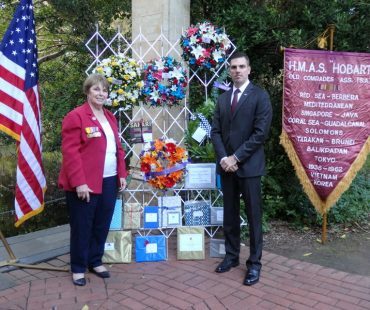 David and DeDe Stoba with Marty Lage represented the American Australian Association. It was a short service giving thanks for all who sacrificed so much for their country. A light lunch followed. March has been a quiet month as far as functions for the association is concerned. If there is anything that you think other members would like to be involved in, please let us know and we will try to arrange it. 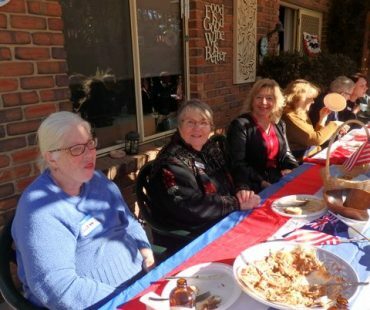 Activities could be along the lines of movies, another boat ride along West Lakes during the day this time, or perhaps having some fun trying your skill at lawn bowls. Again, come along to our Meet and Greet evenings and bring a friend or ideas for activities.